Part of the attention Newt Gingrich has attracted recently, both good and bad, has focused on his proposals for reining in an activist federal judiciary. Some of the proposals include congressional legislation limiting the federal courts’ jurisdiction in certain areas, abolishing particularly out-of-control courts, presidential defiance of decisions he deems unconstitutional and calling judges before Congress to explain their decisions (hysterically translated in the MSM into “arresting” federal judges). In a recent Wall Street Journal piece conservative legal scholar Curt Levey has defended these positions as technically constitutional. However, there is a better (and more conservative) way to address judicial imperialism. Newt’s complaints about judicial legislating are very legitimate. The extent of our judiciary’s exercise of anti-majoritarian power is inconsistent with democratic governance. However Newt’s proposals, while technically constitutional as Mr. Levey argues, run the risk of promoting destabilizing confrontations between the branches, and worse could be dangerous in the hands of a leftist President and Congress. The better solution to judicial imperialism is the majoritarian process provided in the Constitution, which is amendment. Constitutional amendment would be an orderly and democratically legitimate way to overrule anti-majoritarian judicial decisions. Unfortunately, the path of constitutional amendment is considerably restricted by requirements of Article V which are the most stringent of any written constitution in the world. 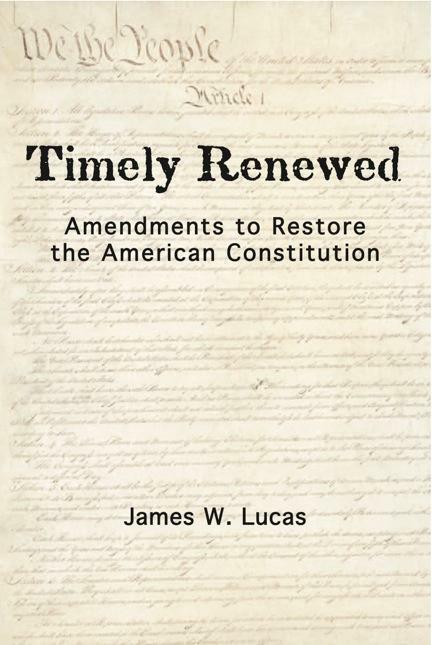 Worse, half of Article V is moribund as its requirement that the states can only initiate amendment proposals through a convention has effectively blocked their introduction of amendments which would limit the ever-increasing centralization of power in Washington. If Gingrich wishes to curtail judicial imperialism, he would do better to promote the re-energizing of the amendment process through the reform of Article V. There are several ways Article V could be amended to facilitate greater use of the amendment process to check the excessive power of the judiciary while still preserving its fundamental concept of requiring super-majorities to change our foundational law. The most important of these would be eliminating the archaic and useless requirement of a convention for states to initiate amendment proposals. Eliminating the convention requirement would permit amendments to arise directly from the states which are much closer to popular influence than the remote elite Washington establishment which currently holds a monopoly on the meaning of our Constitution. A specific proposal for such an “amendment amendment” can he found here.